In a conversation from SAND Italy, Mauro Bergonzi and Shantena Sabbadini discuss how the scientific perspective has influenced our view of reality. Shantena begins with an explanation of the difference between classical and quantum physics. 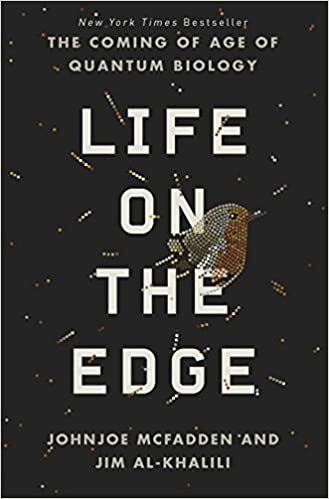 They describe the revolution that began with Galileo and the mathematization of nature, and the abstractions that enabled scientific experiments to be repeated – and list some of the consequences of this viewpoint, which follow from mistaking measurements for reality itself. In response to a comment that it is not just the Western mind that embraces duality, Mauro reminds us that the East had established nondual philosophies – Vedanta, Taoism, Kashmir Shaivism, Buddhism – for centuries before the West began to question the connection between logical truth and facts. To say that quantum physics is the greatest scientific discovery of all time is not an exaggeration. In their discovery of the quantum realm, the physics community stumbled upon a genuine multifaceted revelation which can be likened to a profound spiritual treasure–a heretofore undreamed of creative power–hidden within our own mind. Quantum physics unequivocally points out that the study of the universe and the study of consciousness are inseparably linked, which is to say that ultimate progress in the one will be impossible without progress in the other. Einstein declared that what it reveals is so immensely important that “it should be everyone’s concern.” Yet few of us in the general public truly understand how the game-changing discoveries of the past century not only relate to our day-to-day lives, but also give us insights into the nature of reality and our place within it. What does it mean that quantum theory has discovered that there is no such thing as “objective reality?” How are we participating–via our consciousness–in creating our experience of a reality that quantum theory itself describes as “dreamlike?” What are the implications for us in our day-to-day lives that–as quantum theory reveals–what we call reality is more like a dream that we had previously imagined? The Quantum Revelation is unique in how it synthesizes science and spirituality so as to reveal and explore the dreamlike nature of reality. It is a book not just for people interested in quantum theory, but for anyone who is interested in waking up and dreaming lucidly, be it in our night dreams or our waking life. Eckhart Tolle: Push your limits, compete with yourself. In this fascinating interview Federico Faggin, designer of the first commercial microprocessor and pioneer in the movement to base mathematical theory on consciousness, urges science to embrace consciousness to explain the weirdness of quantum physics, and use it as the instrument of scientific investigation. “There need no longer be a duality between mind and matter,” he says. “With consciousness you can reach reality from the inside.” He makes a startling suggestion – that matter is the ink with which consciousness writes its own self-knowing. Alan Wallace, Lecturer, Scholar, and Prolific Writer on Tibetan Buddhism. Dean Radin speaks at the Science of Consciousness Conference in Tuscon 2016. 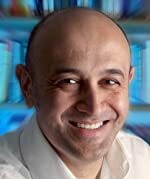 Jim Al-Khalili OBE is an academic, author, and broadcaster. He is a leading theoretical physicist based at the University of Surrey, where he teaches and carries out research in quantum mechanics. He has written a number of popular science books, including Pathfinders: The Golden Age of Arabic Science. He has presented several television and radio documentaries, including the BAFTA-nominated Chemistry: A Volatile History and The Secret Life of Chaos. Johnjoe McFadden is Professor of Molecular Genetics at the University of Surrey and is the editor of several leading text books. For over a decade, he has specialized in examining tuberculosis and meningitis, inventing the first successful molecular test for the latter. He is the author of Quantum Evolution and co-editor of Human Nature: Fact and Fiction. Johnjoe McFadden obtained his PhD at Imperial College London, then went on to work on human genetic diseases and infectious diseases at the University of Surrey. He has more recently specialised in examining the genetics of microbes such as the agents of tuberculosis and meningitis. Professor McFadden has published more than 100 articles in scientific journals on subjects as wide-ranging as bacterial genetics, tuberculosis, idiopathic diseases and computer modelling of evolution. As well as contributing articles on a broad range of scientific topics to the Guardian newspaper, Johnjoe is the author of the highly regarded book Quantum Evolution. In this book he proposes a new model for the fundamental mechanisms of evolution, while presenting quantum mechanics in such a way as to be accessible to those without a background in Physics or Chemistry. For centuries philosophers and scientists have debated on the nature of fundamental reality and also the mind body problem and the origins of consciousness. John Hagelin, PhD, speaks at the Our Conscious Future conference in Fairfield, Iowa. The common use of the word ‘consciousness’ easily tends to narrow its meaning only to the subjective side of the total range of our experience. Yet, since both non-dualism and some philosophical implications of Quantum Physics regard reality as an indivisible whole, the words ‘consciousness’ and ‘world’ are just two different descriptions of one and the same reality (respectively in terms of the ‘first’ or of the ‘third’ person), while the alleged separation between ‘subject’ and ‘object’ is nothing but an illusory mental construct. Actually, a deep exploration of what we call ‘consciousness’ in our direct experience beyond words is tantamount to a free fall into a bottomless pit of awe and wonder. Mauro Bergonzi is a Professor of Religions and Philosophies of India, University of Naples. Mauro Bergonzi has been teaching Religions and Philosophies of India at the Università degli Studi di Napoli since 1985. He is author of academic essays and articles on Oriental Philosophies, Comparative Religion, Psychology of Mysticism and Transpersonal Psychology. 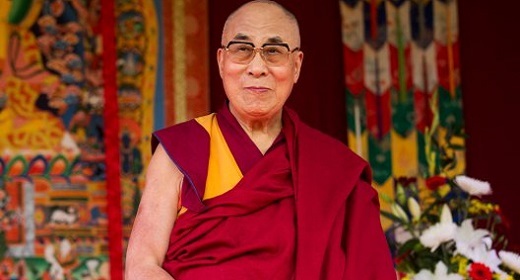 Since 1970, he has practiced meditation, always preserving a non-confessional and non-dogmatic approach. After a natural and spontaneous fading out of both seeking and the seeker, only a radical non dualism prevailed in him. In this respect, his long-standing familiarity with the teachings of Nisargadatta Maharaj, Jiddu Krishnamurti and Tony Parsons has been crucial. In the last 10 years, he has been invited to give regular satsangs in Italy. Wave-particle duality, the uncertainty principle, the collapse of the wave function, and entanglement all point to awareness being an intrinsic aspect of reality. Yet we are still trying to understand these phenomena within a worldview that assumes the real world to be that of space, time, and matter, and relegates consciousness to some artifact of brain processes. Yet the one thing of which we are certain is that we are aware. And it is the one thing the current worldview cannot account for. This profound anomaly will ultimately lead to the full paradigm shift to which contemporary physics is, unwittingly, pointing. With consciousness as primary, everything remains the same and everything changes. Mathematics, physics, biology, chemistry are unchanged. What changes is our assumption as to what they are describing. They are not describing the unfolding of a physical world, but the unfolding of a universal self-aware field. We are led to the conclusion that the entire cosmos is a vast field of knowing, knowing itself, and in that knowing creating for itself the appearance of a material world. Why then don’t we see it that way? Why does the material world appear devoid of consciousness? Mick Collins has had an interesting career, including working as a builder’s labourer, infantryman, heavy goods truck driver, and living in a Buddhist Monastery. Mick has also worked as a therapist in an acute mental health setting and a specialist psychological therapies team. He currently works as a Lecturer in Occupational Therapy and is a Director of Admissions within the Faculty of Medicine and Health Sciences, University of East Anglia. Mick Collins is an Occupational Therapist and currently lecturer and director of admissions within the faculty of medicine and health sciences at the University of East Anglia. Mick’s research interests have mostly focused on understanding the links between people’s occupational and transpersonal potential. The subject of his PhD explored the complementary functions of doing and being in the transformative journey through spiritual crisis. 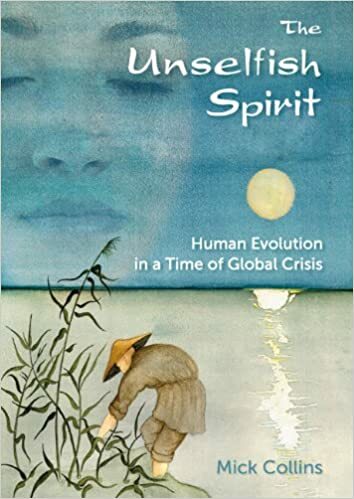 Drawing from diverse fields such as cosmology, new biology and quantum physics, alongside depth psychology, occupational science and mysticism, The Unselfish Spirit identifies how our global crisis is also a spiritual one and how we as a race can collectively grow our consciousness to solve the complex web of challenges that threaten life on Earth. As well as discussing theories, The Unselfish Spirit offers exercises and real-life stories providing space for experiential reflections. He has been interviewed on several radio and television programs including New Dimensions Radio, Western Public Radio, National Public Radio, and many others. He was the visiting scholar/scientist-in-residence in the Pacific Northwest sponsored by The Institute for Science, Technology, and Public Policy during the spring season, 1994. He has spoken numerous times before The Commonwealth Club of San Francisco, The Smithsonian Museum in Washington, DC, and several other prominent organizations and been interviewed on a number of television shows between the years 1995 to the present including: The Discovery Channel’s The Know Zone, Sightings, The Thinking Allowed Television Series, The Malone show, The Evidence for Heaven. Star Trek IV, Special Collector’s edition, The Fabric of Time, The Case for Christ’s Resurrection, Down the Rabbit Hole, and the PBS series Closer to Truth. 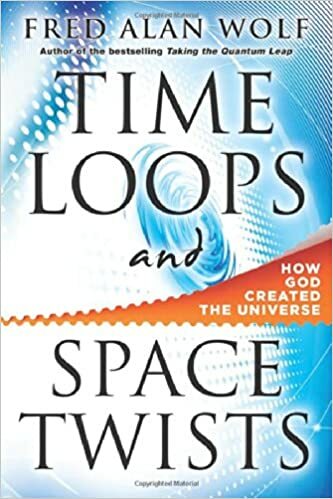 Dr. Fred Alan Wolf discusses some of the ideas and concepts explored in his book Time Loops and Space Twists. In his most important work since Taking the Quantum Leap, Fred explains how our understanding of time, space and matter have changed in just the last few years and how within these new ideas we have a glimpse into the ‘mind of God’. Making comparisons to Hindu Vedic and Judeo-Christian cosmology, he explains how the universal command of the Deity ‘Let there be light’ now takes on a new scientific meaning: Everything is literally made of light, and the reader will learn how quantum physics proves this is so. Quantum physics can be daunting to the lay person, but Fred has simplified and made these abstract concepts very comprehensible. He uses the wisdom from science and challenges our thoughts on religion while reminding us of true spirituality. His approach leads us to a new view of how consciousness and science are related. Dr. Wolf is a physicist, writer, and lecturer who earned his Ph.D. in theoretical physics at UCLA in 1963. He continues to write, lecture throughout the world, and conduct research on the relationship of quantum physics to consciousness.